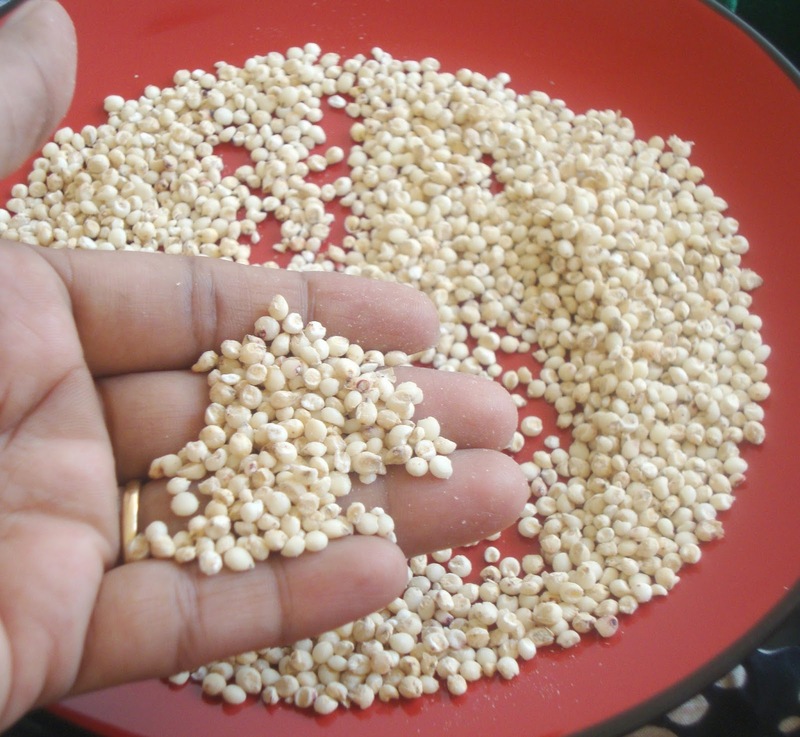 Jowar is the Indian name for sorghum, also known as White Millet. It is a gluten-free, high-protein, cholesterol-free millet, rich in essential nutrients including dietary fiber, iron, phosphorus and thiamine. This was introduced to me by my neighour Sathyabama Manikandan. She gave me this millet and also the recipe to prepare this healthy dosa! To my surprise, this Chola Dosa came out very tasty and crispy; can't make out from the taste that a new ingredient is added! Here is it for you to try! Wash and soak rice, cholam / jowar, urad dhal and fenugreek seeds in water for about 4 hours. Grind everything together to fine paste. Transfer it to a separate container; add salt and mix well. Allow to ferment for nearly 5 to 7 hours or overnight. 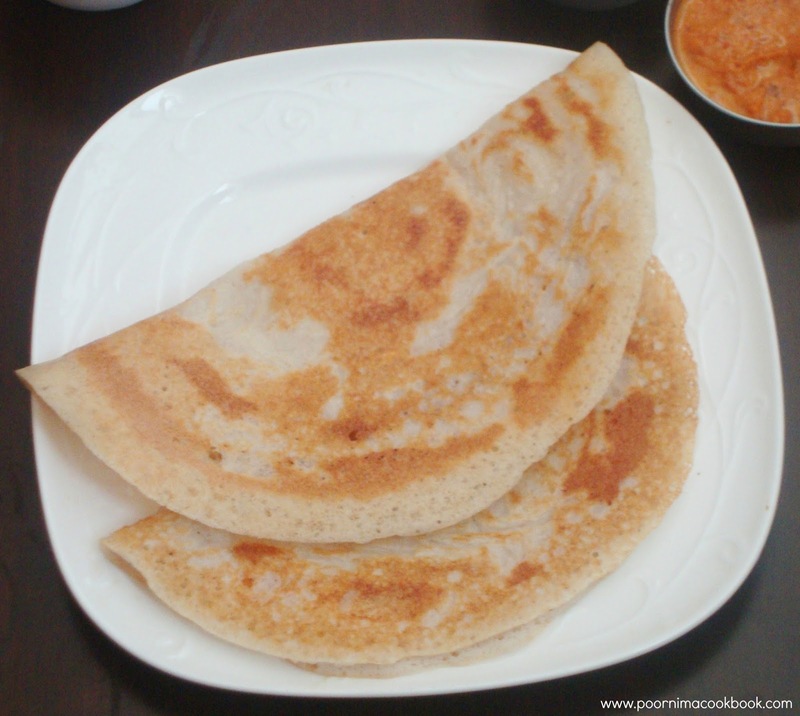 Jowar dosa tend to ferment fast than our normal idli batter, check it according to your climatic condition. 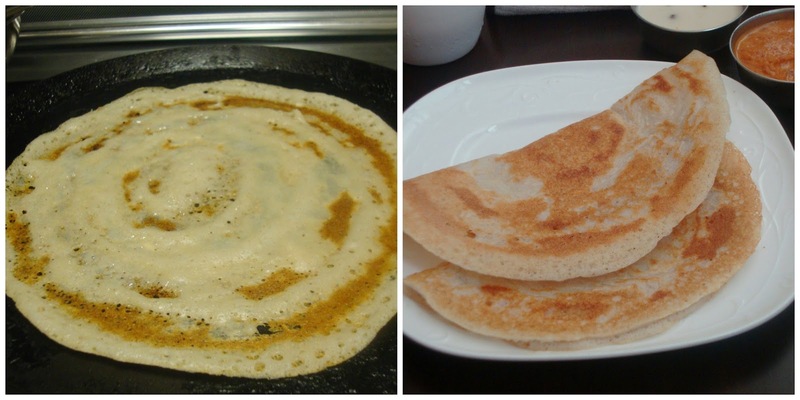 You can also use raw rice instead of idli rice to prepare this dosa. 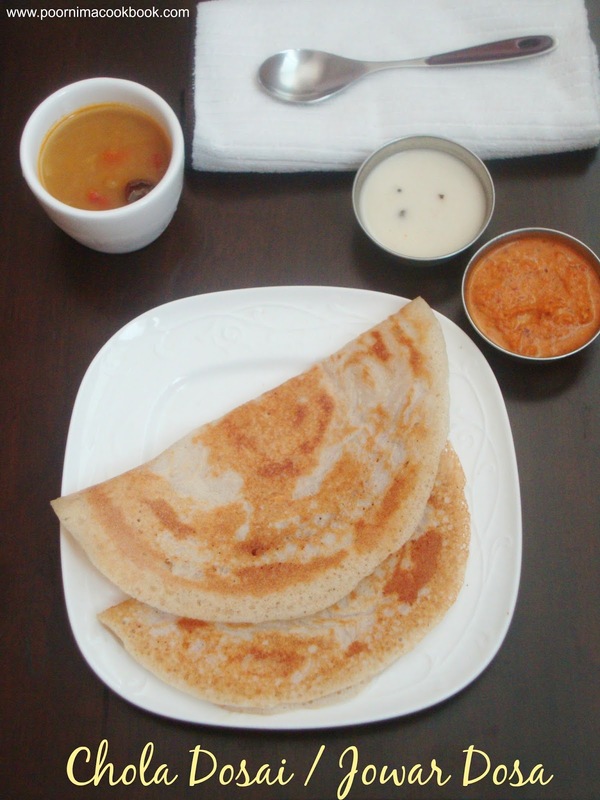 wow thats a very healthy and super soft dosa there, I wud love to finish this healthy and nutritious plate of dosa right away !! Very healthy and nice looking dosa dear. Excellent pics. 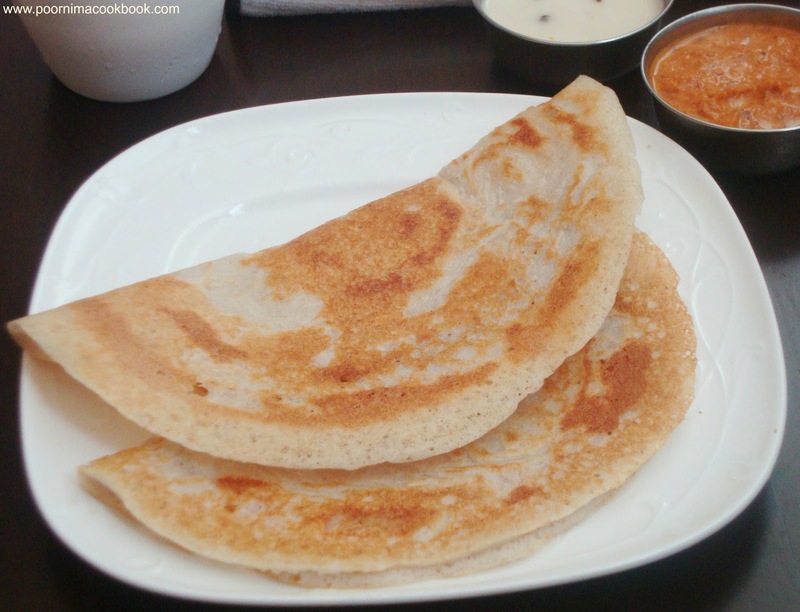 Love this kind of millet based dosas or idlies, they came out simply awesome. Super healthy dosa ll definately try.